The intelligent mobile service robots characterized with speech interaction, autonomous navigation, telepresence, SDK and cloud platform services that is powered by sophisticated technology and cloud computing. 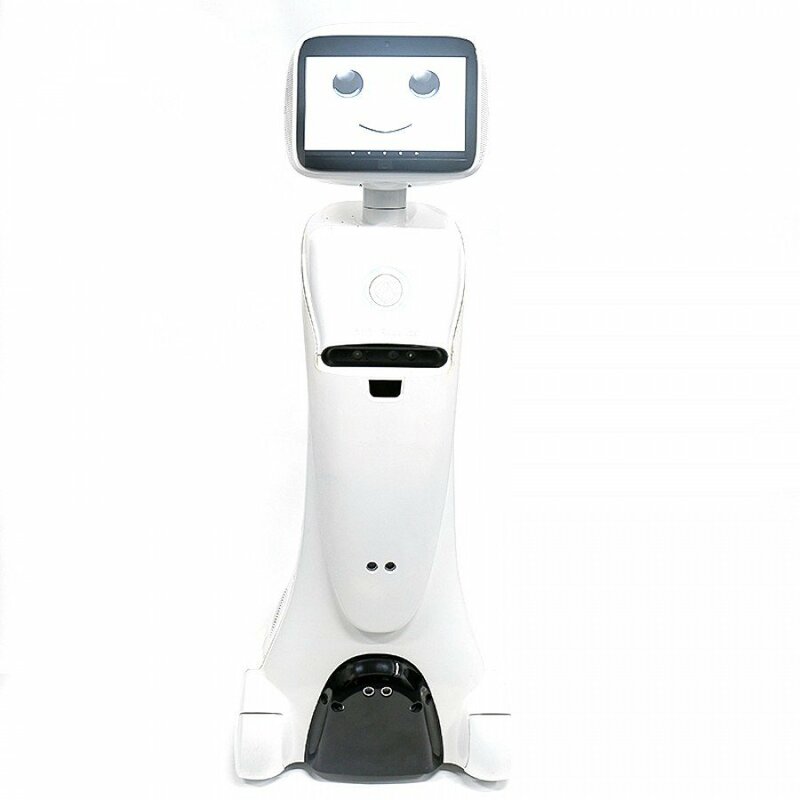 she can understand speech and make conversation with people in noisy environment, recognize specific people and say hello to him/her, follow a person in front of her with command “Hello, follow me” and move to a place autonomously by saying “Hello, go to the kitchen with me” to her and more. She can perform a surprisingly wide variety of tasks. Especially, the SDK enables new sophisticated skills, content, features to be created for different working scenarios, provide access to the data acquired by the raw sensor data, and much more. With the SDK, people literally without any knowledge of robotics can use this high-level software and advanced robotics hardware in a simple but powerful way to create functional and useful robots applications that can provide valuable services use their creativity and programming skills. The beta version SDK has been sent to some partners from banks, hospitals, research institutes and smart home providers etc.